Who wouldn't love to find a pot of gold at the end of the rainbow? We could pay off our debt, buy the house and vehicles we've always dreamed of and even give some of it away to help those in need. It doesn't matter that we know this is just a fairy tale. Somehow we still think that an earthly treasure - no matter how we come across it - would be the answer to all our problems. That's where King Solomon steps in and sets us straight. 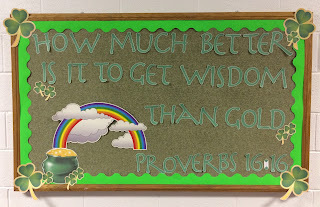 His book of Proverbs is full of passages that lead us away from the lure of gold into the satisfaction of God-given wisdom. The truth behind "you can't take it with you" is never more obvious than in Solomon's life. He was the richest, most powerful man in the world, but without wisdom he was nothing. Gold gives us a sense of security, until we realize that it can be stolen in the blink of an eye. Wisdom gives us security in God's truth, which can never be taken away. Gold buys food for the pantry and drinks for the refrigerator. Wisdom feeds our souls and gives us Living Water to drink. Gold makes us feel powerful, if only in our own minds. Wisdom protects us as we avoid the traps and pitfalls of life. Gold holds the beauty of precious stones. Wisdom holds the answers to healing a broken heart. Gold brings happiness for a moment. Wisdom brings pure joy for all eternity. Gold sparkles for a season. Wisdom provides everything we need regardless of our circumstances. Solomon writes that wisdom calls to us, that it stands in the high places and invites us to hear, to understand and to apply the truth of the Lord in our lives. Wisdom isn't some elusive degree we earn only after decades of education and study, he explains. We could be draped in shining gold and and sparkling gems, but we would be useless in God's economy. Earthly riches mean nothing when you know they will remain here when we die. But the wisdom we've gained and the truth we've gleaned from Scripture will guide us on earth and shine even more brightly as we spend eternity with the Lord. Gold and wisdom can't be compared. One is simply currency while the other holds the key to holiness, godliness and righteousness. What are you striving for with all your getting today? Are you working to save up more gold, silver and jewels? Or have you discovered, as Solomon did so many centuries ago, that wisdom is the principle thing in all we are, all we do and all we have? It began for Solomon when he realized that he would never be a successful ruler without God's wisdom. Hearing the instruction of his father, David, he wanted to be blessed with knowledge and understanding instead of rich and powerful. It was this humility that God smiled upon, as He gave Solomon the wisdom he asked for and so much more. 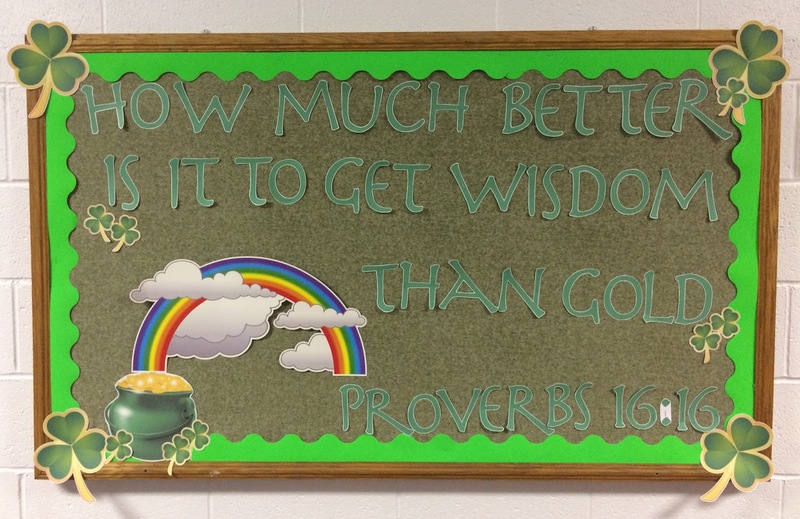 Pass by the gold and choose wisdom. Wear the ornament of grace rather than an expensive crown that will simply tarnish and fall apart as time goes by.